I got this recipe from a friend of mine who got it from her neighbor. She said it was the most moist, delicious cake she’s ever had! So of course I wanted to make it. 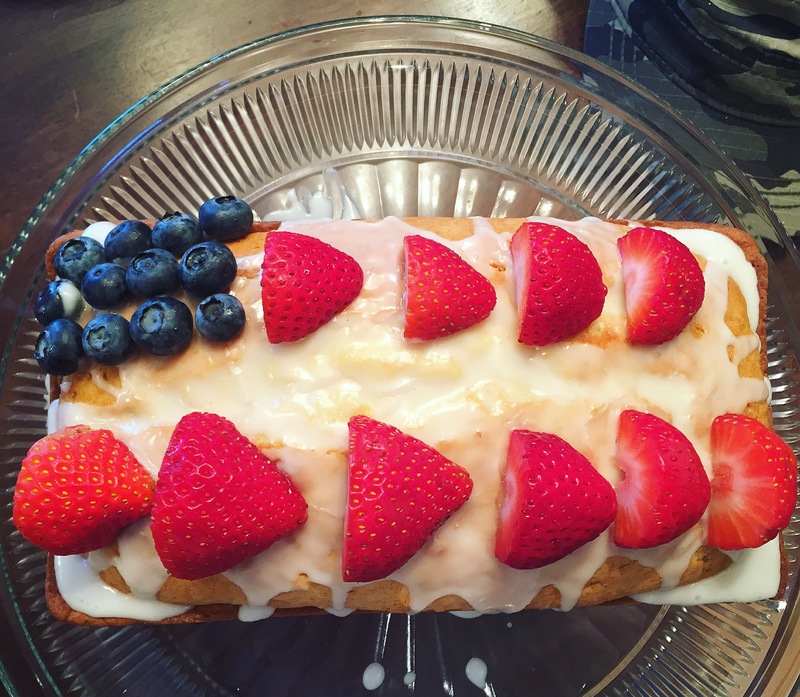 And to make it festive for the 4th of July, I added a glaze and fresh fruit. This is the perfect cake or bread to serve at breakfast, lunch, dinner, as a snack, a dessert or at afternoon tea. 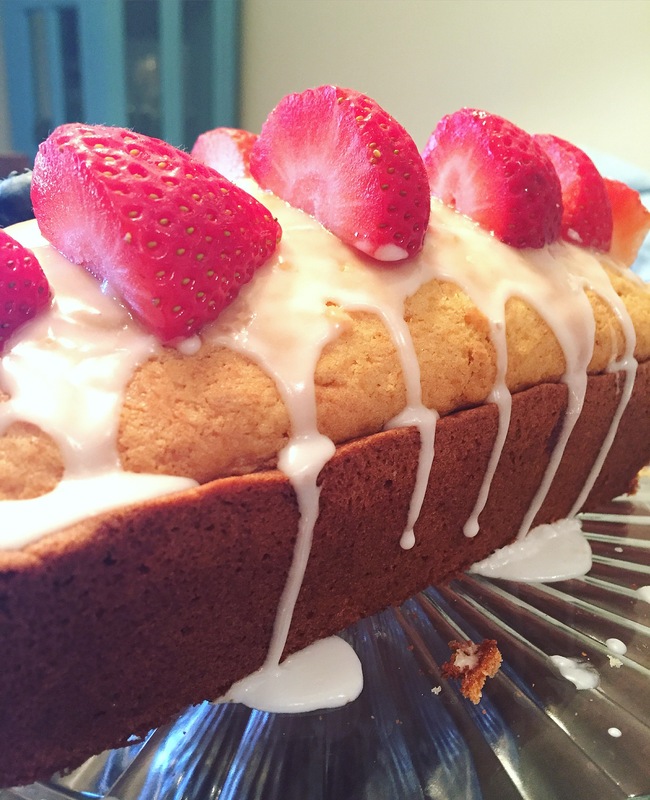 If you’re having guests stay with you this weekend for the holiday, go ahead and make this! You won’t be disappointed 🙂 So let’s go…. Preheat oven to 350 degrees Fahrenheit. In a small bowl, combine coconut and water and set aside. In another bowl, whisk together flour, baking soda and baking powder. Set aside. In another bowl, beat butter and sugar until creamy. Add eggs and beat until combined. Add flour mixture alternating with the milk until just combined. Stir in coconut. Pour batter into prepared pan and bake for 45-50 minutes. Allow to cool on a wire rack before inverting to cool completely. To make the glaze, stir together powdered sugar and milk until you reach desired consistency. Pour over cooled cake. Cut up fruit and place however you like. Slice and Enjoy! Love the idea of adding colorful fruits to make it festive!! Gosh the glaze makes me drool!